In 1923 nineteen-year-old Jack Manning watches the construction of the mighty Harbour Bridge and dreams of being more than just a grocer's son. 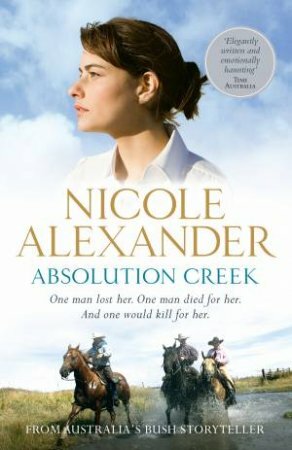 So when he's offered the chance to manage Absolution Creek, a sheep property 800 miles from Sydney, he seizes the opportunity. Forty years later and Cora Hamilton is waging a constant battle to keep Absolution Creek in business. She's ostracized by the local community and hindered by her inability to move on from the terrible events of her past, which haunt her both physically and emotionally.